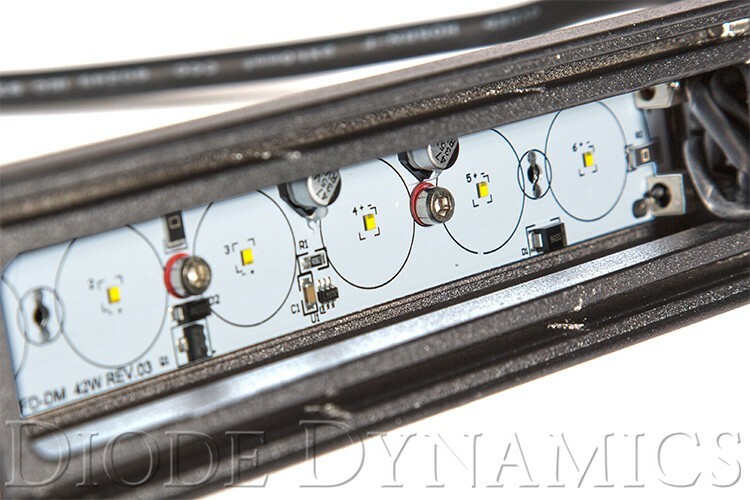 Introducing Diode Dynamics STAGE SERIES LED lighting! 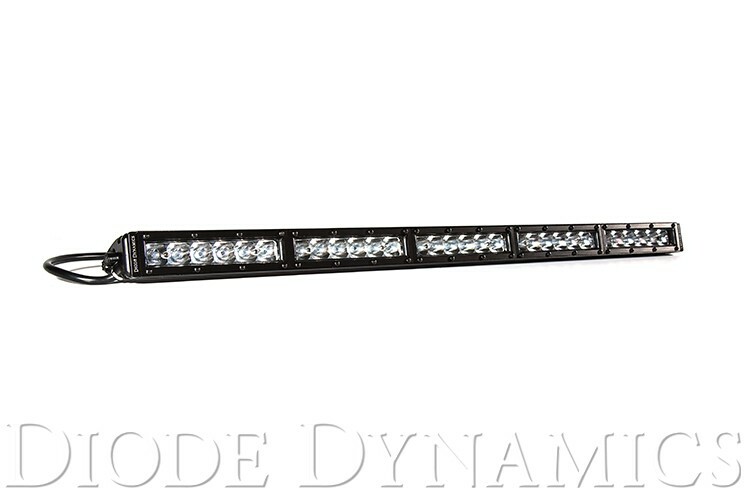 Inspired by the needs of a professional rally driver, these light bars have been designed for maximum functionality, with compact size, custom-engineered TIR optics, and a useful beam pattern, all in a highly durable package. 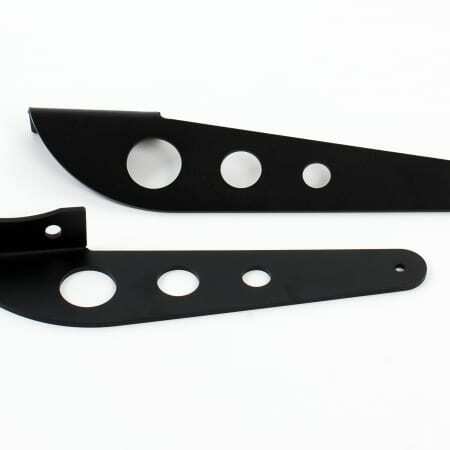 First, we started with a narrow-profile extruded housing, to allow fitment in small and tight areas. 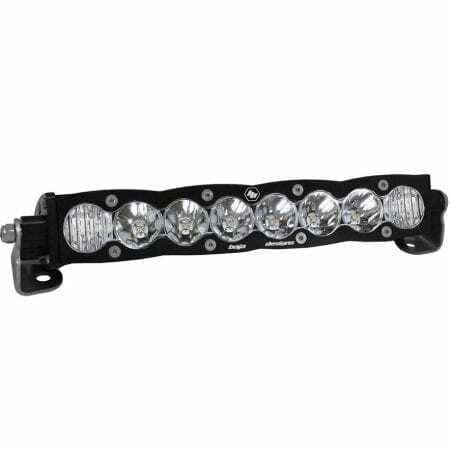 At less than 42mm tall, they’ll fit in many places a traditional dual-row light bar won’t, while drastically cutting the total weight as well. But the compact size doesn’t mean they’re short on power! 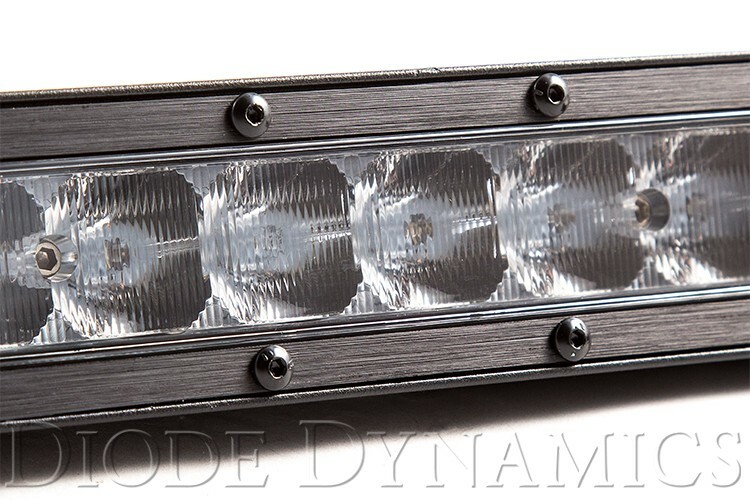 Thanks to the high-intensity Lumileds LED chips, coupled with our U.S. PATENT PENDING total internal reflection (TIR) optic, the total intensity of the Stage Series is far higher than a standard, generic light bar using basic optics or reflectors. 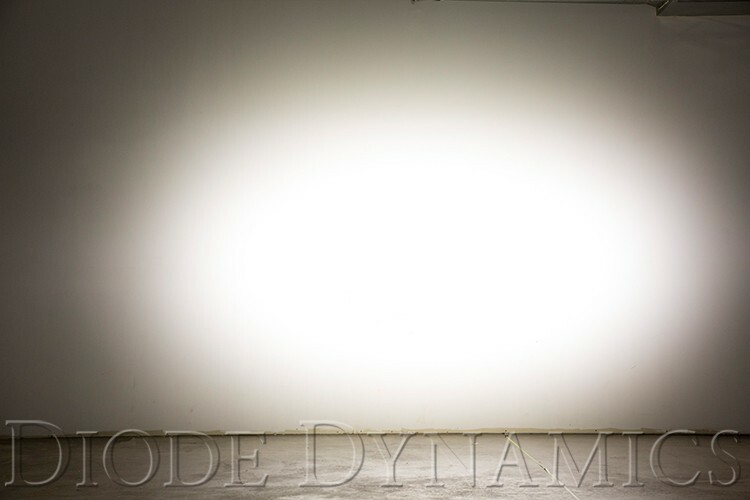 Standard optics lose light internally, and to glare, spreading a little bit of light in every direction. 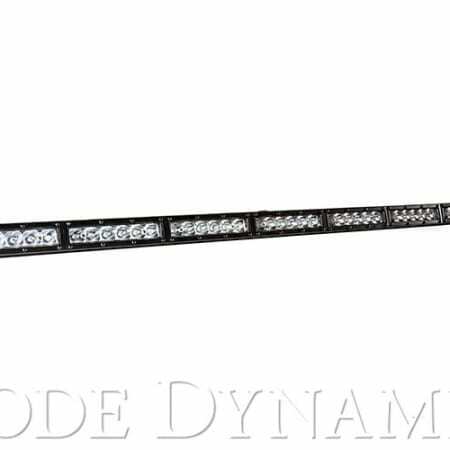 Instead, the TIR optic in the Stage Series collects all of the light from the LED, and directs it only where you need it, drastically reducing glare and improving total efficiency. This TIR optic was designed with optical simulation modelling, to shape the output in a highly-functional beam pattern. 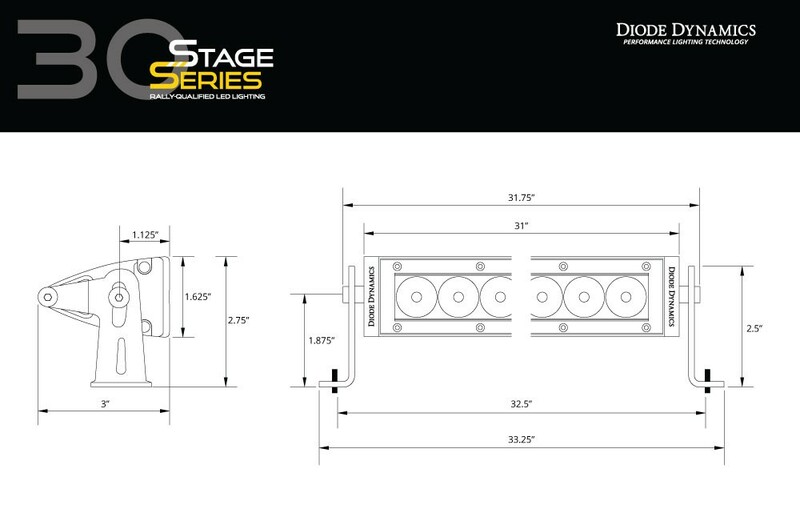 Rather than a simple “spot” pattern, the Stage Series has a rectangular Driving pattern, far more useful for directing light downrange at high speeds. And instead of a standard “flood,” the Wide option provides an extremely wide field of view, without wasting any light in the sky above. 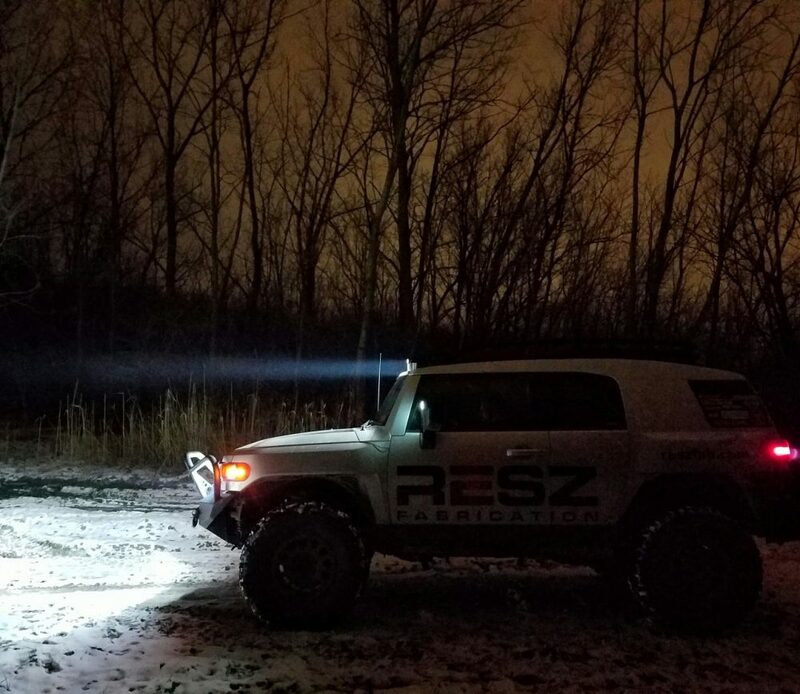 These light bars provide light where you want it, and don’t shine where you don’t. Want even more flexibility? Select Driving beam, and you can purchase simple clip-on lenses to create a Wide or Spread pattern (Available April 2017). 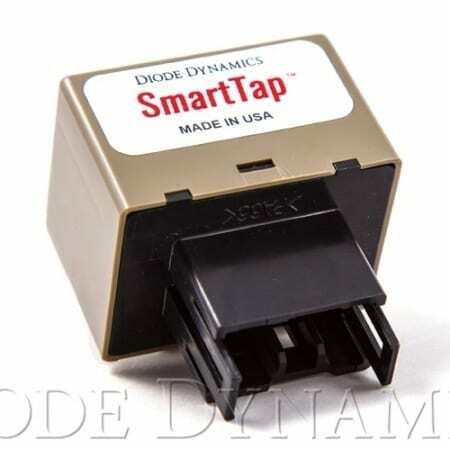 Designed for quick changes during staged rally racing, this allows you to get the output you need at a moment’s notice, with zero tools required. Inner lenses are also available for purchase if you’d like a more permanent change to your optics. Not just off road! 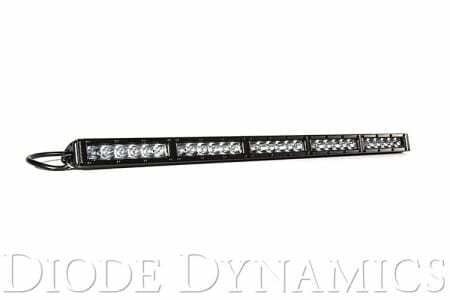 In six-inch size, when installed as a pair and aimed in accordance with your state’s regulations, the Driving pattern meets SAE J581 as a Driving/Auxiliary High Beam Light, and the Wide pattern meets SAE J583 as a Foglamp, for legal on-road use. Please check your local laws and regulations for aiming, installation, and applicability.